An OTP has been sent to your mobile number. Please type the OTP below to verify. Email is already registered. Try Login. Mobile number is already registered. Try Login. This is not a valid mobile number! Mobile number or email address is required! Mobile/Email or Password is wrong! OTP verification failed. Please try again. 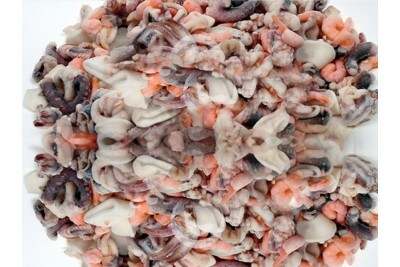 Shrimps, Squid rings and tentacles are mixed and individually frozen. It is a ready to cook product after proper thawing in room temperature or in water. Serving : Order your daily fish, poultry and mutton in Bangalore, Delhi (NCR), Cochin, Trivandrum, Mysore, Palakkad, KGF and get it delivered at your door steps. © 2018-2019 www.freshtohome.com. All Rights Reserved.